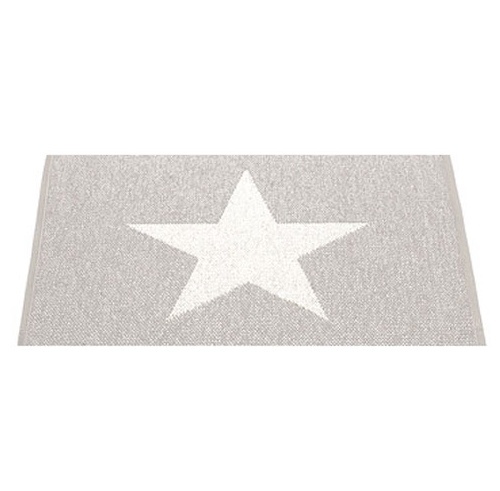 Rug woven Kunstofffaser in warm gray / cream with star motif, Rüclseite cream / warm gray Size approx . : 90 x 70 cm. This is a robust and easy-care carpet. 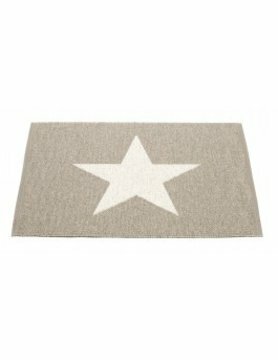 Ideal for the bathroom or the entrance area. 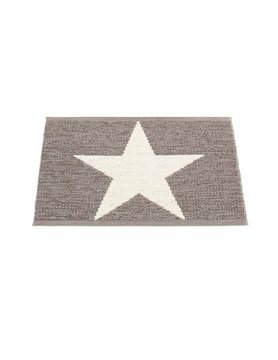 The carpets are manufactured in Sweden under strict quality control on traditional looms. Washable, 30 ° C do not spin for delicate fabrics. Do not tumble dry, light stains can be washed.